I’m probably going to catch a lot of grief for this post, and deservedly so. The man who people call the Mental Midget, the Gutless Coward, and the Worst Postseason Pitcher of all time, has done more than his share of work to earn these demeaning nicknames. He has failed in the postseason for the Rays, Tigers, Blue Jays, and now Red Sox, time after time. With last Saturday’s nightmare performance, his record as a starting pitcher in the post-season fell to 0-9 in 10 starts with an ERA of 6.03. His teams have lost all 10 games he has started. It’s truly remarkable to ponder how a pitcher with his track record of success in the regular season can continue to falter every time he’s trotted out as a starting pitcher in October. Let’s focus on the immediate concern, which is Price’s role against the Astros in the ALCS. This is where people are going to call me crazy, but Price is going to need to play a very important role for the Sox to win this series. As of right now Price is slated to start Game 2. If Sale and the Sox struggle in Game 1, you never know, they could still end up bringing Price out of the bullpen instead of trusting him in a must win Game 2. I know I sure as hell would be very skeptical if they trotted out Price to start the 2nd game of this series, after dropping Game 1. Throw out a guy who’s never won a post-season game, to try and ensure you don’t fall down 0-2 going back to Houston against the defending World Champs. Yeah, no thanks! 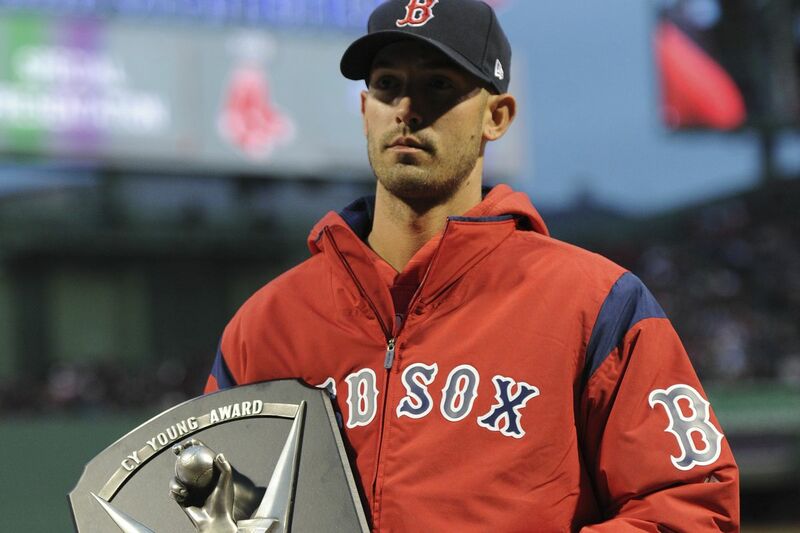 Last year against the Astros in the ALDS, Price pitched out of the bullpen due to an elbow injury. Price was dynamite in the series pitching 6.2 scoreless innings against the ‘Stros. As we all know, the Astros would go on to win the World Series despite Price’s dominance in that post-season series. Price pitched very well against Houston in this year’s regular season. In June he went 6 innings against them (in Houston) with 7 Strikeouts and 3 Earned Runs allowed. Then about a month ago, at Fenway, he went 6.1 with 10 K’s and 2 Earned Runs in what was one of his best outings of the season. The bullpen would go on to blow that game for him (surprise surprise). It’s at least promising to see him have some success against the Astros, compared to his putrid career record against the Yankees. That’s one mental hurdle that he’s hopefully already over, headed into this series. Just as important as Price’s success against Houston, the Red Sox may not be able to constantly roll Rick Porcello and Chris Sale out of the bullpen in important situations, like they did in the Yankees series. Sale is going to be called upon to start 2, maybe 3 games in this series, depending on how it trends. Porcello, may see 2 starts as well, which would limit his exposure in the bullpen. All of this leads to the point that the Red Sox are going to need to get something out of Price in this series. As mentioned before, it appears his first shot will be as a starter in Game 2. If he fails to impress once again, I have zero doubt that he will be relegated to the bullpen moving forward. If that’s the case, he’s going to become the team’s “long reliever” out of the pen. He could be counted on to get some big outs early (or late) in games if any of the starters face trouble later on in the series. Eduardo Rodriguez may have been made for the long reliever role had he not earned his way into the doghouse with Alex Cora. This was after his lack of effort to cover first base back in Game 2. Aaron Judge hit a ground ball to first, that should have been an out. Instead it turned into an undeserved infield single due to E-Rod’s laziness. Cora called out E-Rod out after the game for his effort or lack thereof. He then had him come out to pitch the 9th inning of the Game 3 blowout against the Yanks in which the Sox were leading 16-1. This was a clear sign that Cora isn’t currently pleased with Rodriguez. You can hate on David Price all you want. I think even he, would agree to some extent, that it’s well deserved. But at some point “every dog has their day.” At some point Price is going to go out there and win a big post-season start or come out of the bullpen and be the x-factor in a series. For all the bad things we say about him, it’s never a matter of him not caring or dogging it on the mound (like Mr. Eduardo Rodriguez, who’s now dogged it a few times this year). It’s a matter of him getting too stressed on the mound. It appears he almost cares too much. Despite all the failures, the Sox need Price to step up in this series whether as a reliever or starting pitcher. He’s going to play a major role… for better or for worse, that remains to be seen. As a Red Sox fan, wouldn’t it actually be a great story if he came out in Game 2 of the ALCS and threw a gem? Then he follows it up with a strong performance later on in the series or in the World Series? Here’s to hoping David Price finds a way to finally begin to earn our respect and make us forget about his post-season struggles for the next few weeks.